THE NUGGET SERIES: Marriage Nuggets for Brides to be. We are kicking a new series, Nuggets from subject matter experts on weddings, wedding prep and life after the wedding. Five things every bride/wife to be should know? Intentionality is the back bone of the marriage institution. If you are going to have a working, happy marriage; you must realise what that looks like for you and be intentional about creating it with your spouse. The bliss you seek is on the other side of your intentional and intelligent loving. Marriage isn’t going to necessarily solve all your problems and your husband isn’t responsible for your happiness. Your husband can make you smile now and again, he can be so great the thoughts of him make you so happy; but you can’t put the responsibility for your happiness and peace of mind in his hand. You must remember that your joy is not determined by your marital circumstances or by your husband. Take that power back. Take ownership of your own happiness. Your husband is an adult and ultimately responsible for his life. Don’t spend all your days mothering him that you forget to be his wife and friend. Your husband’s indifference or flaws are not necessarily an attack on you or as a result of a lack of love. Your husband is different from you in many ways, before you cry about his insensitivity or lack of emotional connection, put these differences into perspective and see how you can begin to understand him better. Comparison is a thief of joy. Don’t compare your husband to another man. Find the good in your own marriage and think on those always. The grass is only greener where it’s watered. We met and want to get married in 2 months, Red Flag? It’s possible to date for a short period and still have a successful marriage, but based on people’s experiences, the odds are usually not in favor of a short courtship. The dangers of rushing to the altar are more than the dangers of not making it to the altar. The decision to get married in two months might not necessarily be the red flag but it’s sure difficult to spot red flags when you’ve only known each other a short while. The one key nugget you would leave for every wife. Stay rooted in God and don’t forget your own helper in the person of the Holy Spirit. Marriage God’s way is the only way to bliss and purpose. @olori_olabisi is a certified Emotional Intelligence/Life Coach and NLP practitioner providing coaching for marriage, relationships, parenting and personal productivity. 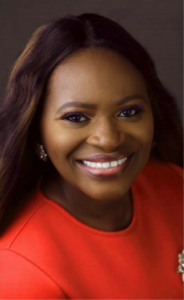 She is the founder of Secret Place Wives @secretplacewives; a 35,000 strong instagram community where she provides godly and useful counsel for wives and wives-to-be; bringing clarity and understanding to many things that puzzle women about marriage. Top 5 Honeymoon Destinations for Couples Who Love to Relax! How to ask your guests for Cash as Wedding Gift.